The prettiest ladies from famous PC games have gathered in Milestone to participate in the Twinkle Queen Tournament. No matter what type they are, aggressive go-getter or the laid back tea drinker, they are going to give their all to win the prize and the power to realize their dreams. Voice actresses who played the roles in the original games are back to voice the girls once again. 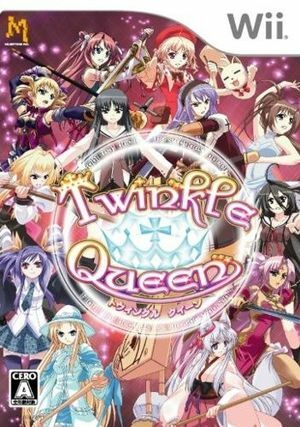 Character themes and other background music are imported from the originals and arranged for Twinkle Queen. Those who knew the girls, more fun for you. Those who didn't, get to know them now. One on one, one on many or battle royale? You choose. A maximum of 4 players can join the game at a time. This is an ideal party game for all bishojo and fighter lovers. The graph below charts the compatibility with Twinkle Queen since Dolphin's 2.0 release, listing revisions only where a compatibility change occurred. This page was last edited on 18 December 2016, at 13:05.